MSI shows a mobile solution for VR (Virtual Reality) without any annoying cables at Computex 2016. 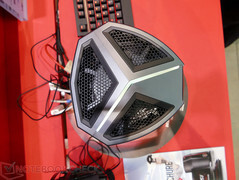 There is also an update for the compact gaming desktop Vortex, which is mainly based on notebook components. 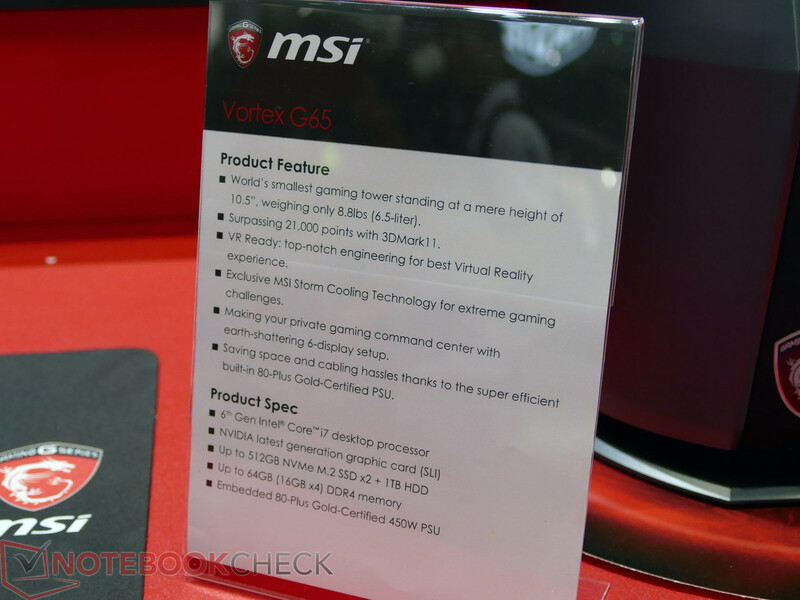 MSI's Vortex G65 is a compact and particularly stylish desktop PC. 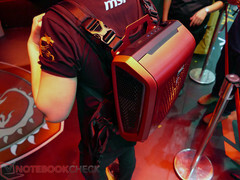 The compact construction can be, among others, realized thanks to the utilization of mobile components, which are also used for MSI's gaming notebooks, for example. 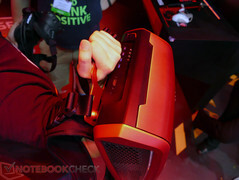 The device therefore also has an advantage over a conventional desktop system in terms of power consumption. 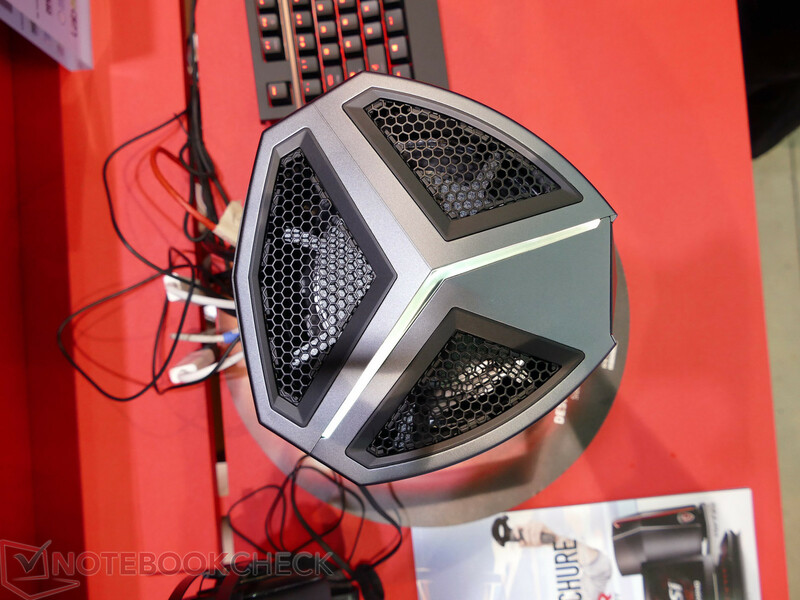 The design of the new Vortex G65 does not really differ from the current model. 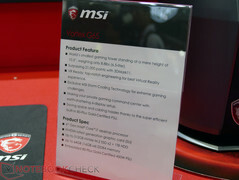 You do get an updated graphics card, and MSI wants to offer the latest GPUs as soon as Nvidia launches the new models. 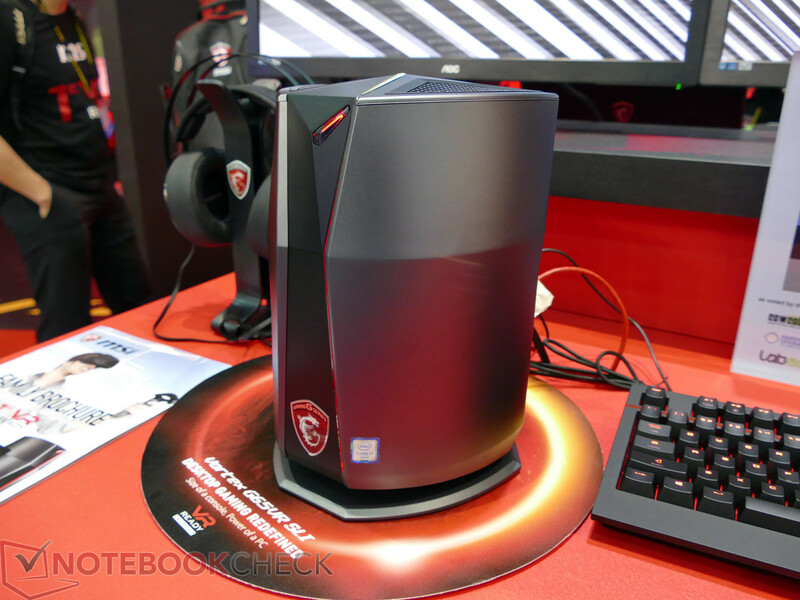 The current version is equipped with two GTX 980 (no M!) graphics cards in an SLI configuration. The most likely scenario would be an upgrade with two of the new GTX 1080, which will most likely be the successor to the GTX 980. Besides CPU and GPU, the Vortex also accommodates NVMe-SSDs with a capacity of up to 512 GB (RAID) as well as an additional 1 TB hard disk. The pricing should be similar to the current top model at almost 4,000 Euros. Still pretty much a concept is the shown mobile VR solution from MSI, so there is no launch date. The hard case backpack uses notebook technology as well as large batteries, so the runtime should be between 1-2 hours according to MSI. 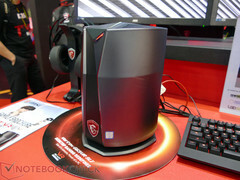 The working demo unit at Computex should is most likely equipped with the current GTX 980. 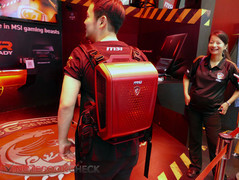 Considering the better performance/consumption ratio of the upcoming "Pascal" GPU generation from Nvidia, the manufacturer will probably wait for these chips before the backpack is launched.